Shape Up NYC is a free, drop-in fitness program with locations across the five boroughs. There is no class registration, and residents can simply show up to take fitness classes like aerobics, yoga, Pilates, Zumba, and much more. 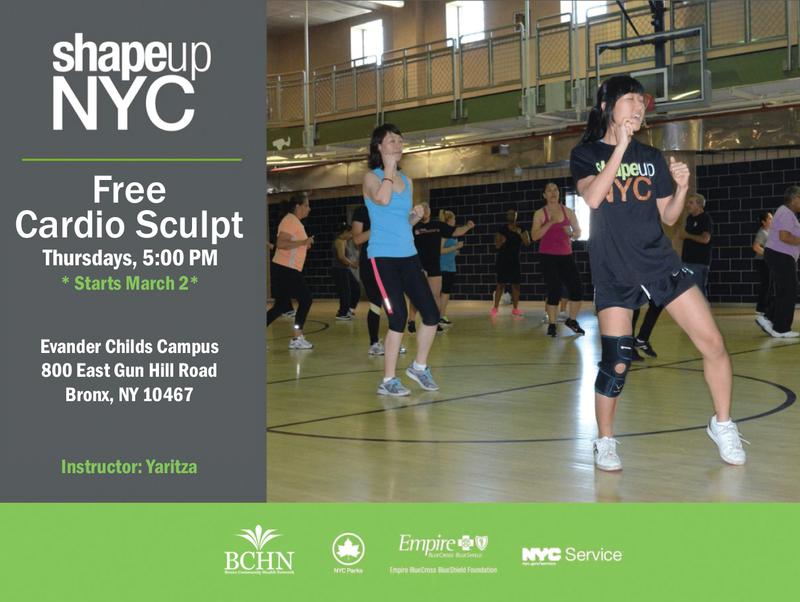 The latest addition to the Bronx is a weekly Cardio Sculpt class held every Thursday from 5:00 PM-6:00 PM at the Evander Childs Educational Campus, starting March 2. Burn calories and get stronger during Cardio Sculpt, with a combination of easy to follow cardio and body toning exercises. This interval based class will keep your heart rate going, while burning calories and toning your muscles.